With the last race of the 2012 season here, Connor Fields was looking to cap off a great 2012 season in a big way. Heading into the weekend, Connor had attended 10 days of USA BMX racing, and so far he had 9 podium finishes, with one 4th place to add to making all main events for the events he entered. On Friday night, at the Race of Champions, Connor was once again one of the riders looking strong all day. As the gate dropped, Connor had gate 2 and a great line into the first turn, with a slight lead. One of the fastest riders in BMX, Marc Willers had other plans for Connor, as his incredible first straight away power was no match for the rest of the riders in the gate, as Marc would enter the first turn in the lead and show the other 7 riders the fastest way around the Tulsa track. Connor was get behind Marc and moto pace his way to a 2nd place finish for the night. 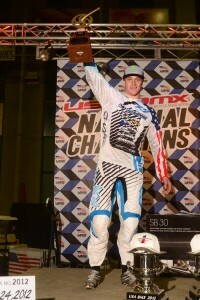 The highlight of the night for Connor though, was that he was awarded the USA BMX Pro of the Year Golden Crank award. This award is voted on by the members of USA BMX and it was a great honor for Connor to win this award this season. Connor also won Rookie Pro of the year in 2011, so it was 2 back to back awards for him! 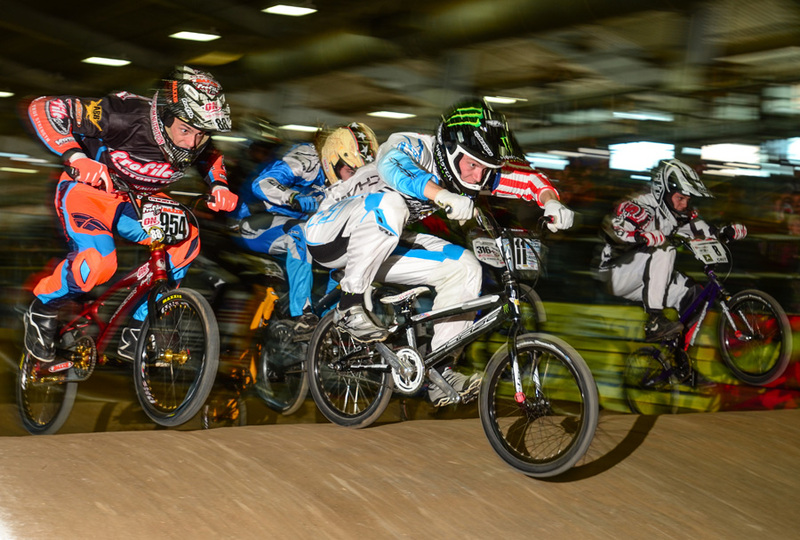 On Saturday, the riders raced the motos during the opening hours of the USA BMX Grand nationals. This was the single biggest BMX race in History and the Pro racing was up to par with some of the best ever as well. Connor made his way into the main event once again as the day program turned into the nights Pro Spectacular / Nag 5 Challenge. Connor had made the main event, along with #1 title contenders Sam Willoughby & Marc Willers, ending the long shot chance of Connor going for the #1 plate, but still securing him with #3 overall for the 2012 season. Quite impressive with the minimum amount of scores needed to obtain the title. The Grands format is a throw back to ABA races of old, with the Pros running 3 main events with the lowest score overall taking the win. 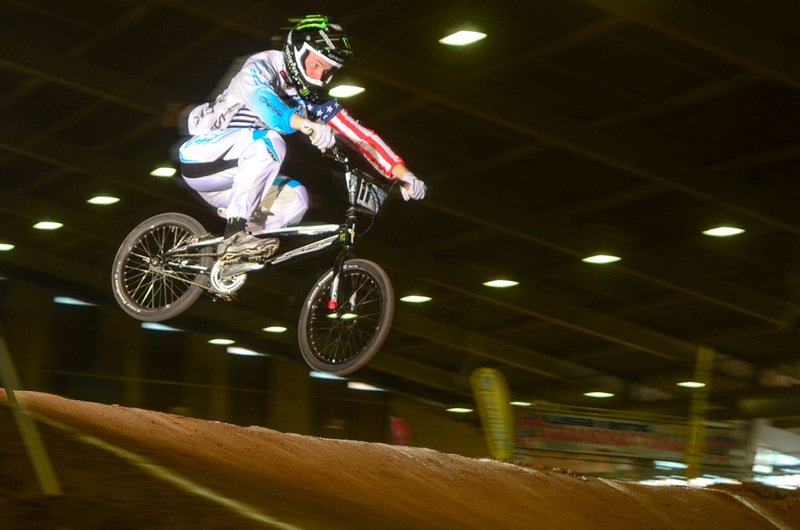 As the first main event gate slammed, its was apparent that Sam Willoughby would not be held back from winning his 2nd USA BMX title, as he was out front right away, Connor was up near the front and ahead of Marc in the first round, finishing 4th. In The 2nd round, it was once again Sam who was out front, this time being chased down by Marc, with Connor in a close 3rd. That would be the way they would finish up, making the 3rd round ever so interesting, as 4 riders would be tied going into the last round, with Marc, Connor, Nic Long, and David Herman all having 7 points. As the gate hit the deck for the last time for the Elite riders in the 2012 USA BMX Season, Connor grabbed the hole-shot and was our front the entire lap , giving him low points just behind, Sam Willoughby, who’s incredible season just was capped off with the USA BMX #1 Pro title. Connor would finish 2nd overall for the day and 3rd for the year! 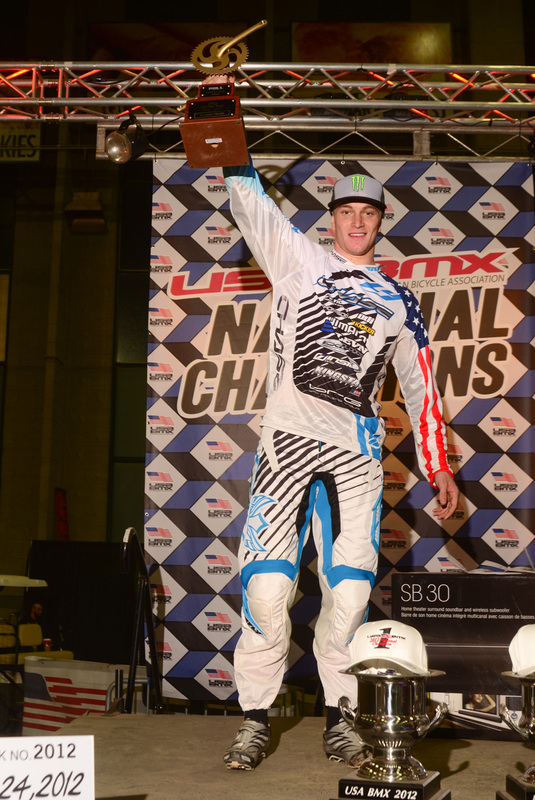 What a great year, to cap off a great season for Conor – USA Cycling National Elite Champion, UCI World Champion Time Trial, Winner of 2 of the UCI BMX World Cup SX events, Making the final at the Olympics, and winning the USA BMX Pro of the Year award! We at Chase want to say Congratulations to Connor, and give a huge thanks to all of our team sponsors: FLY Racing, Shimano, Kicker, ODI, Elevn, Insight, Excess, KingStar, Tioga, Thomson, and Connors Person Sponsor of Monster Energy!